KPMG offers many rewards and benefits, such as lifestyle programs, leave options, a social club and employee assistance. Through KPMG’s myCareer program we integrate your rewards and benefits package with your career development. Our range of practical benefits and incentives include: payment of professional membership fees; financial and leave assistance for postgraduate studies; advanced in-house learning and development opportunities; Refer a Friend employment incentive program; opportunities for overseas assignments and secondments. 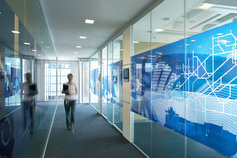 KPMG offers a choice of lifestyle options. Many of them contribute to personal wellbeing and performance. The emphasis is on choice — your choice. We also want these choices to be meaningful and to genuinely enhance your lifestyle. Enjoy savings on various products and services, including home and professional services, entertainment, cars, white goods, travel, dining and accommodation. Corporate discounts that cover health insurance, gym memberships, mobile phones, internet access, computers and software. You can incorporate different items within your total remuneration package to suit your circumstances. This can include additional superannuation, motor vehicles and car parking. You can salary package up to an additional 4 weeks annual leave. KPMG recognises the need to balance personal and family commitments with your work, by giving you more control over how, when and where your work gets done. Options include variation to hours, part-time work, job sharing, working from home and gradual re-entry/exit arrangements. Take advantage of unpaid leave for periods from 3 to 12 months to pursue other interests without sacrificing your career. Up to 12 weeks paid parental leave for primary caregivers. KPMG’s parental leave policy allows up to 18 weeks leave for primary caregivers and 3 weeks for non-primary caregivers. Death, total and permanent disability and salary continuance insurance that adds to your financial security. The cost is met by KPMG and is not deducted from superannuation contributions. Christmas functions, annual balls and movie nights. Member discounts on products and services. Good health and wellbeing help you get the most out of life as well as contributing to your professional performance. KPMG’s myWellbeing program covers a range of relevant benefits. This includes health information sessions, flu vaccinations and health fairs. We provide confidential professional counselling for work, personal or family problems. It covers both KPMG employees and their immediate families. Our national workplace health and safety management system seeks to provide a safe and healthy work environment for all of our people. Combined sick leave and carer’s leave entitlements provide up to 10 days paid personal leave each year to recover from illness or injury, or to care for an immediate family or household member.